Every day, Windows Insiders like you help make Windows even better. Whether it’s a brilliant suggestion for a new feature — or an insight into how we can make existing features even better — we are continually impressed with your feedback. Now we’d like to send a little recognition your way — with our new Windows Insider Leaderboard. This leaderboard…. CONTINUE READING "Welcome to the Windows Insider Feedback Leaderboard"
New achievement badges are now available for keeping your machine current with 19H1 Windows 10 Insider preview builds. Unlock each one by updating your machine with the number of builds indicated for that badge. Badges are awarded weekly to Insiders. All Insider rings qualify, but the Fast and Slow ring builds will advance you to the next level of achievement.…. CONTINUE READING "New 19H1 Achievement Badges"
Are you a CTO, a Business Decision Maker, an IT Professional or an Enterprise Developer? Do you like to know what’s coming next for tech before everyone around you? Do you want a Microsoft product team to come and visit your organization to help with your digital transformation? Then you absolutely must join Dona Sarkar during her keynote “Be the…. CONTINUE READING "Join us at the European SharePoint, Office 365 & Azure Conference"
Das neue Jahr startete mit einem innovativen Feuerwerk in Las Vegas: Auf der CES 2018 fachsimpelten Experten und Technik-Begeisterte an fünf aufeinanderfolgenden Eventtagen über die neusten technologischen Meilensteine. Der diesjährige Fokus: Kleinere und größere Innovationen im Anwendungsbereich der Virtual Reality werden den Technologiemarkt weitreichend verändern. Die vorgestellten Neuheiten für die Smart City rücken das Gigabit-Zeitalter in greifbare Nähe. Darüber hinaus…. 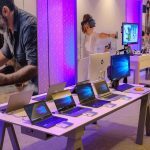 CONTINUE READING "CES 2018: Microsoft Mitarbeiter Review – Drohnenflüge und AI"
Hey, Windows Insiders! It’s that time of year again! Microsoft Build happens this Monday, May 7 through Wednesday, May 9 and to make the event even more exciting… We’re going on a Fluent hunt We’re hiding pictures of all five Fluent elements at booths on the expo floor. Take a selfie with the element and when you’ve found all five,…. CONTINUE READING "Windows Insiders and Fluent Design"
Earlier this year, we started the Windows Insiders Cohorts Program to connect and engage with Insiders within certain demographics (illustrators, Insider MVPs, and insiders within certain companies.) We’ve built cohorts as highly focused groups of people with a common passion or area of expertise, to bring fresh insights into how features are being used with high-quality, actionable feedback. By bringing…. CONTINUE READING "Introducing Cohorts for App Developers"
Our Annual Survey is one of the most important tools we have for shaping the Windows Insider Program. It’s your chance to tell us what interests you most about the program — and how we can make your Insider experience even better. 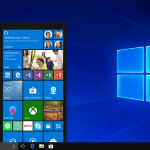 Looking for more news on the latest Windows features? Need more resources as a developer or IT Professional? Got…. CONTINUE READING "Participate in our 2018 Windows Insider Annual Survey"